For a few weeks now, I have received two videos of what the fourth caliph of the Ahmadiyya Movement spoke about during two events, one during his Dars-ul-Quran (explanation of the Holy Quran), on 19 February 1995, and the other one on the last day of the Jalsa Salana of the year 2000. I thank my disciples Mukarram Naib Amir Hariz Sahib, Mukarram Naib Amir Saleem Sahib and Mukarram Naib Amir Fazil Jamal Sahib who informed me of these videos and contributed to the translation of English and Tamil, especially concerning the Dars-ul-Quran that the fourth caliph had made on 19 February 1995. I want to emphasize to all truth seekers, to all Ulul-al-Baab (people of intellect/ insight) that Allah manifests certain signs at unexpected moments and these signs may at some point in the future take all their importance. Towards the end of his Dars-ul-Quran on 19 February 1995, Hazrat Mirza Tahir Ahmad (May Allah forgive him) said, and he quotes a word that Hazrat Musleh Ma’ud Mirza Bashiruddin Mahmud Ahmad (ra) had said during his sermon on Friday, 07 January 1938: “Now those days are not far, that one person sitting on one place can rule in whole”. At that time, Hazrat Mirza Tahir Ahmad was nine years old. He tells that at that time, for the first time on 07 January 1938 loudspeakers were installed in the Masjid-e-Aqsa in Qadian and then, the Musleh Ma’ud (ra), a 07 January had for the first time delivered his sermon in loudspeakers. And then Hazrat Mirza Tahir Ahmad takes his own example, and he says that now during his time on 07 January 1994, for the first time, he had launched the Muslim Television Ahmadiyya (MTA) OFFICIALLY internationally, 24/7 from Mauritius. I will not forget this extraordinary moment, when the MTA international was launched from my native island, Mauritius. And that day was my Janam Din (birthday), when I was 33 years old. And Allah chose this historic date, on January 7th to make manifest such a world event in our little Mauritius. 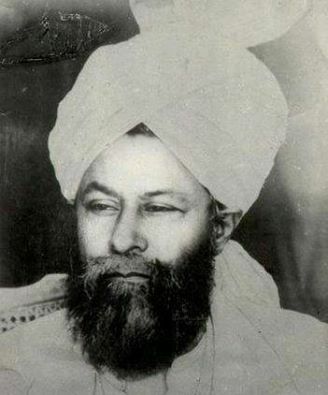 When it happened, Allah put it in my mind [and I did not understand at that time that it was indeed Allah putting this in my mind], He made me reflect, that after India, the first mission outside India was established in London, UK, and after UK, it is Mauritius in all its aspects which had received this honour to receive the message of Hazrat Massih Ma’ud (as) and since then the Jamaat Ahmadiyya was implanted (here in Mauritius). And that after London, the MTA was also launched globally 24/7 from Mauritius on a 7th January. I had shared this reflection/ thought with a man named: (late) Hassen Ramjaun, and he agreed with me [I had lots of respect for him and he also had lots of respect for me], and he, on his own, went to tell all this with the delegations of Hazrat Mirza Tahir Ahmad [Majid Tahir, Munir Javed, Major etc. ], and when this explanation reached the Caliph’s ear, he agreed with this thought, and later he shared it with the world. And the same reflection, when the late Bhye Hassen Ramjaun related this with the Jamaat officials in Mauritius, they did not take this into consideration; they turned a deaf ear to it. They did not give it any importance, because at that time they considered me as a mere driver of the Jamaat. The late Bhye Hassen Ramjaun met me in the evening (that Friday, 07 January 1994), before the Salat-ul-Maghrib, and told me what happened when he shared this reflection with some officials of the Jamaat in Mauritius, where they had not taken that into consideration. At that time, the late Bhye Hassen Ramjaun had a great esteem for me, and he used to talk a lot about my tabligh works and he enjoyed listening to me relate about my tabligh anecdotes and sometimes he mentioned some of those anecdotes in his Jalsa Salana speeches and other programs. Now with the Divine Manifestation in Mauritius, on the 7th of January, and all the prophecies of Hazrat Massih Ma’ud (as) and Musleh Ma’ud (ra) concerning the reformers and messiahs who will come afterwards, through the Ruh-il-Quddus, I must tell you that today, in an extraordinary way, on the same date, Allah has fulfilled these blessed words and manifested this for His Selected/ Chosen Messenger, the Khalifatullah of this era. Not only is the fact that I was born on the 7th of January 1961, but also in the time of Hazrat Mirza Tahir Ahmad this great event happened, where Allah changed the trajectory of His light and raised without the vote of man, His own Elect with Ruh’il Quddus (Holy Spirit). He established a Khalifatullah, a reformer and Islamic messenger at world level, and He equipped him [equipped me] with a higher form of technology in the form of the Internet, and Website – and any form of rapid communication, with only one click of the hand to control this world, especially all the pious and sincere believers who form parts of the spiritual “network” of Allah. Alhamdulillah. Then this word of Hazrat Musleh Ma’ud (ra) was accomplished in all splendour when this humble servant reached his 40th birthday, in a new century (be it Gregorian and Islamic) where “one person sitting on one place can rule in whole”. And this person, whom Allah also raised in 2004 as the Musleh Ma’ud of this century, then this person in the context of spirituality, in the context of Islam and the Jamaat of Hazrat Massih Ma’ud (as) and of the Musleh Ma’ud (ra) materialized with splendour. Allahu Akbar. So, we see that at the time of Musleh Ma’ud Hazrat Mirza Bashiruddin Mahmud Ahmad (ra), Allah made him mention such a word that was realized in all its splendour during the life of another Musleh Ma‘ud. Loudspeakers at that time was a great invention, and means of communication, and it happened on a 07 January, and on 07 January 1994, another person whom Allah chose as a second Musleh Ma’ud and His Khalifatullah, Allah made him (that is, myself) to reflect and share this thought and where it came into the ear of the fourth caliph of the Ahmadiyya Movement. Despite that London, England was a place, a more developed country than Mauritius, but Allah chose Mauritius itself – that place where His Messenger came into existence and would come to his destiny (as His Chosen Servant) – to launch the MTA, Muslim Television Ahmadiyya 24/7 worldwide. And it’s the 7th of January itself that someone will stand in one place and reign (control) everywhere; another Musleh Ma’ud was born in this little island called Mauritius. This is a reflection for those who are endowed with intelligence. Deep down, Hazrat Mirza Tahir Ahmad wanted to be that blessed person whom Hazrat Massih Ma’ud (as) prophesied and who in his view was not the Musleh Ma’ud, Hazrat Mirza Bashiruddin Mahmud Ahmad(ra), his father. I’m talking here about a duah that he did on the third and final day of the Jalsa Salana in the year 2000, that is, on 30 July 2000. And Abdul Ghaffar Janbah Sahib also mentioned this in his sermon on Friday, 23 November 2018. This deduction of my disciple Hazrat Mukarram Fazil Jamal Sahib is in itself a very deep reflection. This makes me think of (late) Maulana Ahmad Shah Noorani, the head of the World Islamic Mission. As I mentioned before, Shah Ahmad Noorani proclaimed himself the Mujaddid of the 15th century. As soon as he finished publishing a book informing about this proclamation, shortly thereafter he died. And then his followers hid this book of proclamation so that it would not become a controversy among his followers, and also the rest of the Ummah of Hazrat Muhammad (pbuh). What is not good about this mentality (way of thinking) is that for them they have the right to hide their books and there is no criticism on them, while they accuse us the Ahmadis that we hide the books of Hazrat Massih Ma’ud (as). This is not correct, and Insha-Allah, the time will come when all his books will be translated as it should be, and also, we must understand in what situations he had declared what he said, and these words should not be taken as meaning that he meant to say that he has taken himself as a person greater in status than Hazrat Muhammad (pbuh)! Nawzobillah min Zaalik! These duahs that Hazrat Mirza Tahir Ahmad did for Allah to choose (and raise) him as His blessed elect, is the result of his belief that all the Khalifa-tul-Massihs, of the Jamaat Ahmadiyya who are elected by man will be the Mujaddids until the end of the world. But he is completely wrong in his way of thinking. He did a duah, yes but where Allah Himself chose His own person (His own Chosen One), and he [i.e. Hazrat Mirza Tahir Ahmad] honoured this person in front of all the Jamaat Ahmadiyya, internationally, where it was transmitted on the MTA, which had been launched globally on January 07, date that this person whom he honoured for his Deen works, took birth. And today by the grace of Allah, although he sent curses (Laanat) on me, but today it is me by the grace of Allah who is present before you, and it is him who died in my lifetime itself. I do not say that out of arrogance, but there is food for thought [for those who want to understand the truth]. He admitted [with humility] that he was someone full of failings and lacked knowledge [at the end of his Dars-ul-Quran on 19 February 1995], but yet he was arrogant and refused to accept the one whom Allah raised. He demonstrated intense jealousy, just as Ibliss had shown intense jealousy when Allah had created and raised Hazrat Adam (as) as His Khalifatullah, with the Ruh’il Quddus. It’s unfortunate what had happened. I had a lot of respect and love for him as the spiritual leader of the Jamaat Ahmadiyya of his day, but when he did the arrogant, when he misinterpreted the prophecies of Hazrat Massih Ma’ud (as) and even those of Hazrat Muhammad (pbuh) concerning the coming of the Mujaddids in every century, where he described it as a “fitna” (an evil), so just as Allah had raised Hazrat Musa (as) to face the Pharaoh, his adoptive father, likewise, Allah used me as His instrument to show the right way to Hazrat Mirza Tahir Ahmad (May Allah forgive him), but unfortunately he preferred to turn a deaf ear to it and expelled us [Munir Ahmad Azim and Zafrullah Domun Sahib] from the Nizam-e-Jamaat Ahmadiyya and he said: “…the Jama’at is marching forward throughout the world at the rate of millions. The going away of these two individuals makes no difference to the Jama’at” and in an arrogant way, he told us to go and create our own Jamaat! But Allah disapproved of what he said against his Chosen One, and it was Him (Allah) who protected me and all those who have sincerely believed in me to this day, and Insha-Allah He will continue to pour down His Fazl (grace) upon us and restore the glory of Islam and its stability through us, through His Jamaat Ul Sahih Al Islam, Insha-Allah. “.... [It is] extremely scurrilous and wicked to use derogatory language about the honoured founders of different faiths, whom God chose in His infinite wisdom and special divine will to be the leaders and guides of their nations. It was through their enlightened souls that the world was blessed with the light of divine worship and Divine Unity. Their forceful teachings uprooted idolatry and creature-worship—the mother of all evils—from most parts of the world. It was they who brought new life to the dried up tree of the remembrance of the One God and erected the fallen edifice of the worship of God upon solid foundations. They were the elects of God whom He took under His own benign protection, and supported them so magnificently that even though millions stood up against them, they remained undaunted and resolute in their mission. God saved them from every calamity and from the schemes of every mischief-maker until they had established the truth upon the earth. To revile such elect of God is an act of great impiety, inaptness and insolence.” [p.110; Barahin-e-Ahmadiyya, Part I & II, UK: Islam International Publications Ltd. (2012)]. So in all this there is food for thought. And who will benefit from this? They are the seekers of truth, the Ulul-al-Baab (those who are truly intelligent), those who use their minds/ intellect (even though they may be illiterate or do not have great academic degrees), those whom Allah has purified the minds and gave them the faculty to recognize and accept the truth. In truth, without the permission of Allah, no one would have had faith, but Allah guides whomsoever He wants to the right path, and He especially helps those who make efforts to recognize the truth of Islam and His messengers, those who come forward to accept them whatever happens, even if they have to make sacrifices of all kinds to attract the pleasure of Allah on them and obey Him and obey His Messenger in an exemplary manner. Insha-Allah. 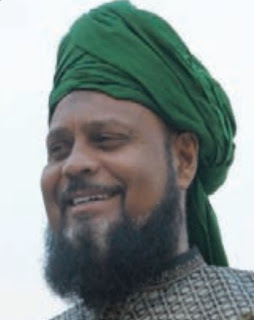 May Allah help you [all truth-seekers, the Ulul-al-Baab, the Ahmadi Muslims who use their intellect and the rest of the Muslim Ummah also] to understand this sermon well and to come forward to recognize the truth of Allah in this century in through the advent of His Khalifatullah and the Jamaat Ul Sahih Al Islam. Insha-Allah, Ameen.